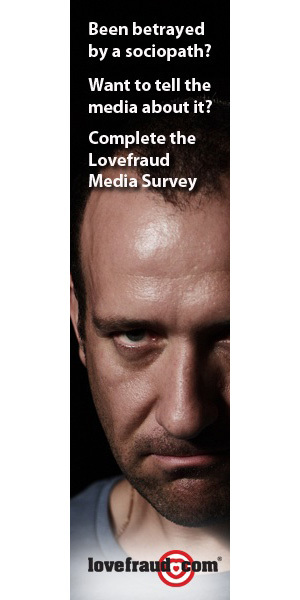 Social service agencies: Join the Lovefraud Professional Resources Guide for FREE! If you’re involved with a social service agency that can offer assistance to Lovefraud readers, will you please let our healing community know about your work? 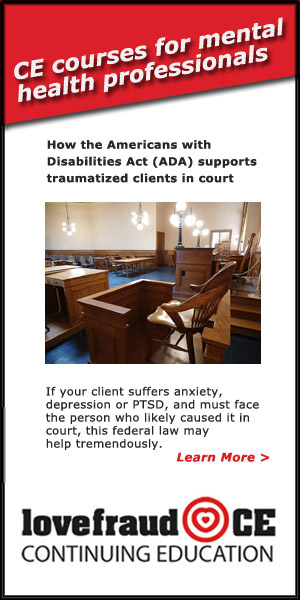 Or, if you’ve been helped by an agency that understands what happens when people are targeted by sociopaths, will you tell us about them? 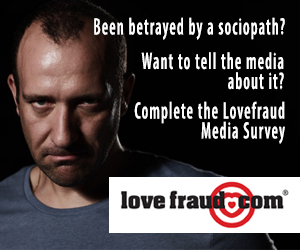 Every month, approximately 100,000 people visit Lovefraud. 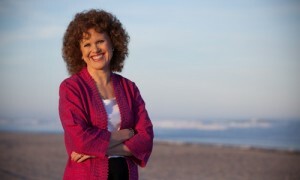 Readers are here because they are involved with someone a romantic partner, family member, business associate or acquaintance who is making their life crazy. They’re looking for information Lovefraud has plenty of that. 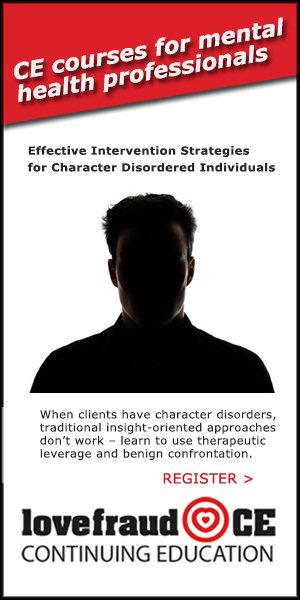 But often they’re also looking for support in their efforts to disentangle themselves from the exploiters. 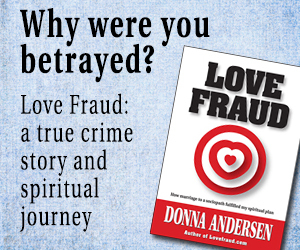 Readers also contact Lovefraud via phone and email, looking for resources where they live. I don’t know what to tell them, which is distressing for me. 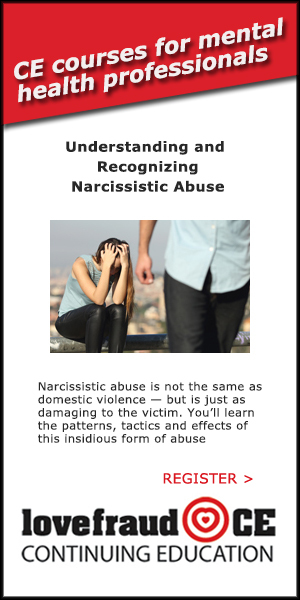 Lovefraud has set up a Professional Resources Guide. But right now, the directory is slim. Will you please help fill it up? Listings for bona fide social services agencies are absolutely free. 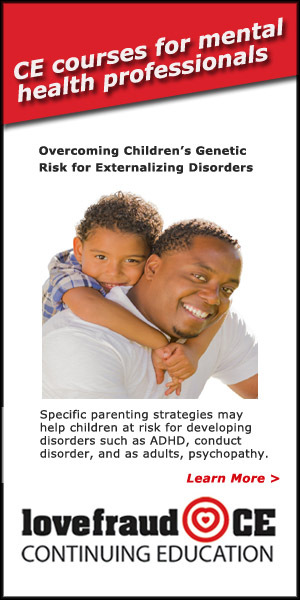 Domestic violence, child advocacy, divorce support and similar organizations are all welcome. 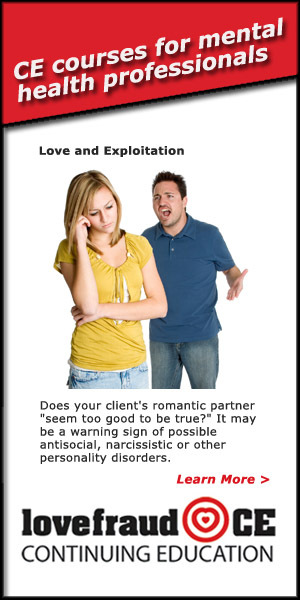 Lovefraud can accept listings from any country. Thousands of people, in every community, have been damaged and exploited by sociopaths. 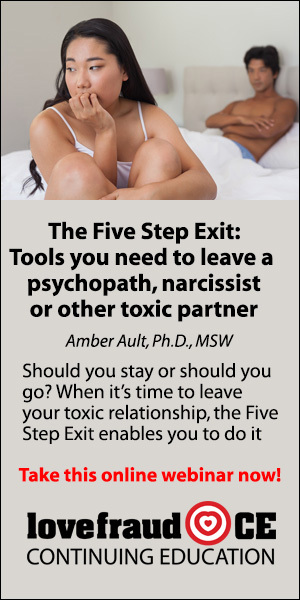 Many are looking for support to escape their entanglements. 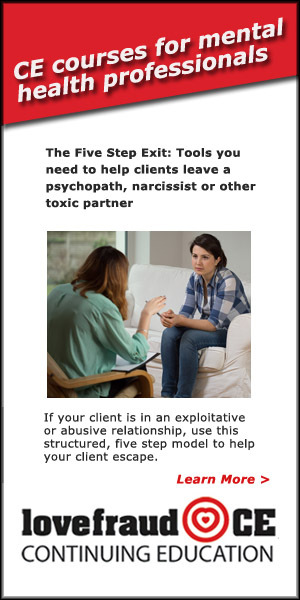 So please, if you’re with a bona fide social service agency that offers support to victims in your geographic area, join the Lovefraud Professional Resources Guide for free. Or, if you’ve been helped by a social service agency, and you’d recommend them to others, please ask the agency to join. Someone else in your area is surely looking for assistance. Alternatively, please send an email to [email protected] and tell us about the agency and provide contact information, and we’ll reach out to them. 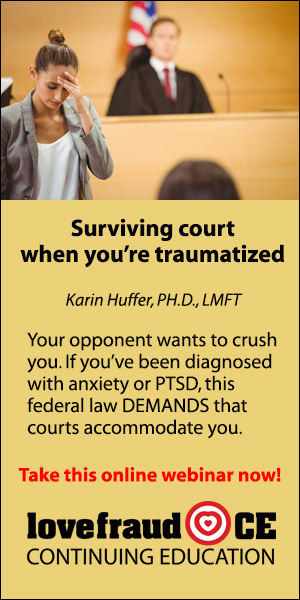 As you well know, qualified support is crucial in recovering from exploitation by a sociopath. Let’s build a recovery network.